Someya's article on E-skin was published as a cover story for the September issue of IEEE Spectrum. Publication in Nature Biotechnology (Perspective): "Toward a new generation of smart skins"
Professor Someya was selected for Highly Cited Researchers 2018 by Clarivate Analytics. 90 researchers on the list are from Japan, and 18 are from the University of Tokyo. Naoji Matsuhisa (2017 Alumna, current visiting scholar at Stanford University) won 2018 Inoue Research Award for Young Scientists. "Skin Display" was presented at the AAAS Annual Meeting in Austin, Texas. Roda Nur won CEMS Rising Star Award at CEMSupra2018. "Engineering Higher Sensitivity in Capacitive-Type Strain Sensors using Buckled Ultra-Thin Gold Films"
Wonryung Lee won Best Poster Award at 2017 ICFPE. Sunghoon Lee won 2017 Excellent Doctor's Theses Award. "High gain organic amplifiers for sensing of biological information"
Porraphon Tantitarntong won 2017 Excellent Master's Theses Award. "High Sensitivity Tuning of Work Function of Self-Assembled Monolayers Modified Electrodes Using Vacuum Ultraviolet Treatment." Porraphon Tantitarntong (M2) won the Best Poster Award at 9th International Conference on Molecular Electronics and Bioelectronics (M&BE9). 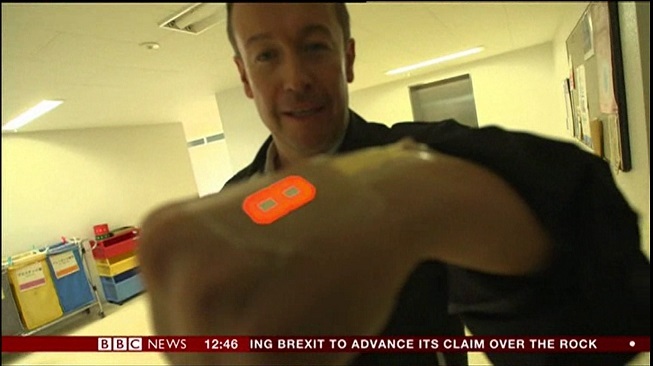 "Stretchable Ink for Flexible Electronic Fabrics"
Our development was covered by BBC NEWS. 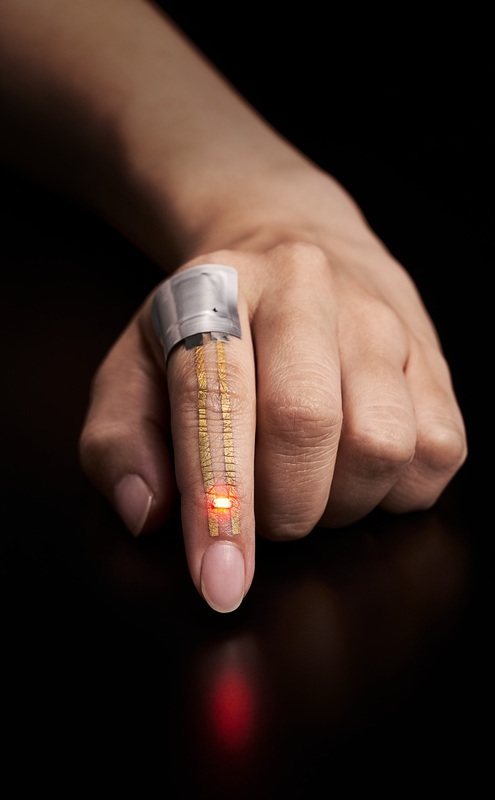 "'Electronic skin' to monitor your health"
Naoji Matsuhisa won 2016 Excellent Doctor's Theses Award. "Printable Elastic Conductors for Large Area Stretchable Electronics"
Breathable, wearable electronics on skin for long-term health monitoring. Published in Nature Nanotechnology (July 2017). Copyright © Someya Group All Rights Reserved.